“Fury” is an honest portrayal of the brutality of war, the toll it takes on soldiers, and how those soldiers manage to fight on in the face of overwhelming odds. Make no mistake, this is not a movie for the squeamish. “Fury” tantalizes us with calm, and then hits us square in the jaw; and this happens from jump street. As always, very minor spoilers below the trailer; nothing that will give away the overall plot or ending. Tis no secret among those that know me – I love movies. I always have had, and always will have, a soft spot in my heart, mind, and soul for a well written and well acted performance. I have been looking forward to The Judge for quite a long time. After reviving his acting career as the (in)famous Tony “Iron Man” Stark, Robert Downey, Jr. was given a second chance – a chance to prove the potential everyone knew he had before his personal demons ruled his life. He has vanquished those demons, and realized the potential he showed as a younger man. The Judge is proof positive of this. The Judge is not a courtroom drama – though it has courtroom drama. The Judge is not a love story – though it has one of those as well. The Judge is, at its heart, the story of a boy and his father. Interestingly enough, it is a coming of age story for a man already grown. I would describe the theme of The Judge to be one of reconciliation; a story of “tough” love; a story of compassion. The Judge will sway you, and hopefully make you think. It will make you feel. The movie is long at over two hours, and some might feel it is slow paced – it’s not an action movie. This is a character study – this is the story of a man and his father. While these things are true, there is suspense, and not just of the courtroom variety. I often find myself saying about movies that I would recommend them to my friends, and I worry that I over say this at times. 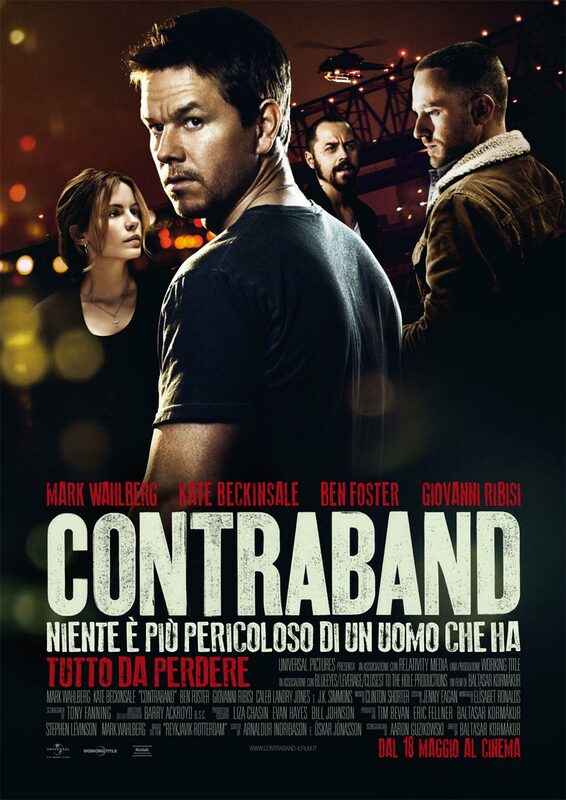 Even so, I recommend you see this movie. If you are a person who dislikes knowing what is going to happen in a movie, I’d like to caution you now. If you proceed below the following trailer, you’ll learn more about the movie than you might have preferred (though you will need to continue to understand the title of this article). My car is a 2008 Ford Mustang. Her name is Summer’s Shadow, and she likes to go fast. The only problem with this is that I’ve become more responsible now that I’m in my 30’s (no comments from the peanut gallery about my level of responsibility or age, please). Summer’s Shadow understands this, and is patient with me. The reason she is patient with me is because of movies such as Safe House. You see, after an action packed enjoyable movie, she knows I’ll let her loose at 1am on the streets of my hometown. She knows she will get to growl and let loose and go fast and all kinds of other things that Mustangs enjoy. So, in conclusion, see Safe House. Your car will thank you. Oh, and you’ll love the movie too. So in all seriousness, I had high hopes for this movie when I first saw the previews. When I went out tonight, I had a couple of choices of what to see, and asked a couple of friends. I was leaning toward Safe House, and my friends seem to agree. I have smart friends (S-M-R-T). 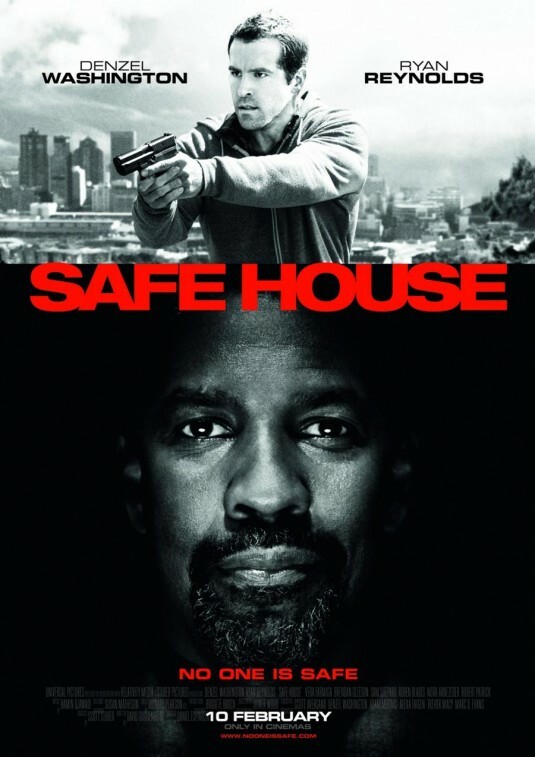 Safe House stars Denzel Washington and Ryan Reynolds. To be honest, I will see any movie that has either of these actors in it – and a movie with both is one that I cannot resist. Washington plays a traitor to his country who has sold out and sold secrets. Clearly the government doesn’t like this. Reynolds is a low-level safe house attendant who spends his days listening to music and doing whatever he wants so long as he picks up the phone when the boss calls. This dynamic duo (sorry for the cliché) are a perfect match. Washington has secrets. People want secrets. People come after secrets. Boy Scout (ahem Reynolds) decides to save him. One thing I’ve learned is that to have a good story and a character you care about, a character that is real, the character has to be dynamic. Static characters tend toward boring, or can be anyway. Reynolds plays an innocent (insomuch that he is still a virgin in the espionage game and has no practical experience). Watching Reynolds’ character struggle with the realities of his career versus his moral compass is great. By the end, he finds a way to balance the two, and emerges a stronger man for it. Granted, he is pretty awesome in the fight scenes – I’m referring to the fact that he becomes stronger as a person. Throughout, you want Washington to really be a good guy. You want the stories told about him to be just that. At the end of the movie, he is a man dressed in black, and you want him so much to be a man dressed in white. Is he? I don’t want to give it away – go see. And Summer’s Shadow is glad I did.